A reverse mortgage is a type of equity release which enables a home owner to benefit from the property while following not a specific payment plan. Traditionally, a mortgage requires the home owner to pay monthly instalments to the lender and property is released only when the mortgage has been paid. Interestingly, a reverse mortgage does not have such conditions as its basic purpose is to facilitate those who do not have sufficient income. However, reverse mortgage can be a pain if you do not follow the proper procedure. You must know what is involved and how can someone make the most out of this financial programme. First, you should check whether you qualify for a reverse mortgage or not. Remember, the Federal Housing Administration (FHA) has set an age limit of 62. Nobody can apply for this financial assistance before this age. To make the case strong, wait until you cross 62. Next thing you should do is to determine if you meet the home rules. According to these rules, the applicant must own a single family residence. However, you will have to provide an occupancy certificate. This certificate verifies that you live there at least 183 days every year. You will have to provide this certificate even after receiving the cheque. Moreover, you must ensure that there is sufficient equity in your home. Mostly, they reject the application if the loan has not been cleared or it can be paid off even with the reverse mortgage. Now, when you have provided all the required information, it is time to engage a lender. You will find many lenders out there offering you flexible plans but you should work with the lender who is trustworthy and highly reputable. Sometimes, lenders ask you to buy an insurance product. This is unethical so you should report the National Reverse Mortgage Lenders Association immediately. 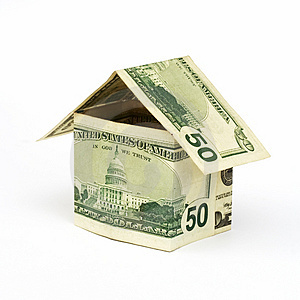 While getting a reverse mortgage, another important thing to do is to get your house appraised. You may hire a professional appraiser for this purpose. However, make sure that appraiser is approved by FHA. In the end, you must schedule a closing date of this mortgage and do all the paperwork. Submit your application and wait for the cheque with patience. This procedure can prolong for up to three or four weeks.